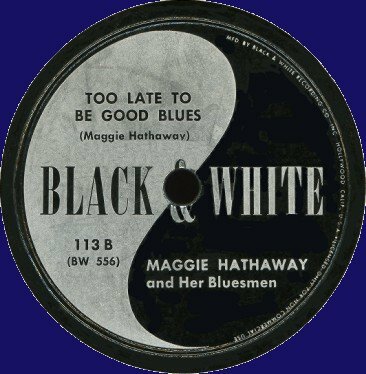 In today's show I spotlight an important label for West Coast Rhythm & Blues, the Black & White label. The label brought us T-Bone Walker, Helen Humes and Jack McVea with some of their best tracks. The name was chosen to express the owners' desire to make it a racially integrated label. Black & White may be best known for its Los Angeles artists, but it was founded in New York and sold later, and the new owners brought it West. I'll end my show with a selection from the New York series, be it, that already then, some recordings were done in Hollywood.